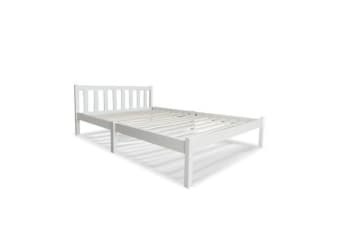 Made of solid pine wood, the Sofie Bed Frame is an all-round functional design that is compatible with most Australian sized mattresses and ideal for use by both young and old alike. 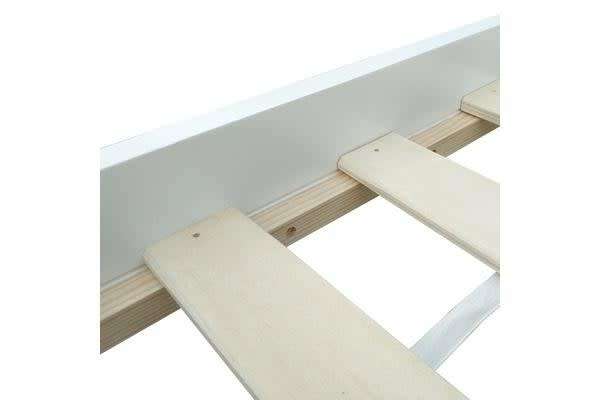 Strong and sturdy, the Bed Frame comes with a durable plywood slated base, reinforced angled brackets for long term support, stylish headboard, heavy-duty steel fixings and smooth edges all round. Finished in a non-toxic, eco-friendly white paint, the neutral-coloured Bed Frame makes for easy decor coordination with any bedroom. 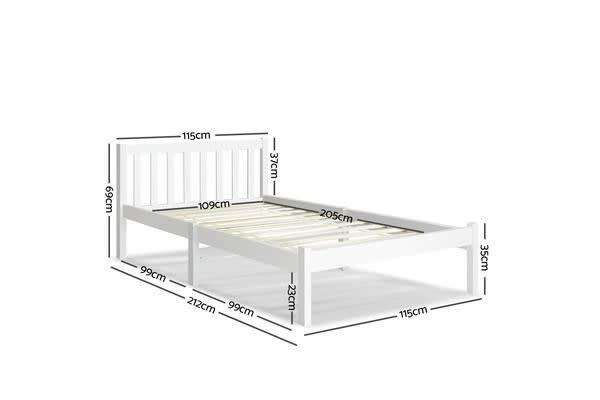 Better still, the Bed Frame also has ample space below to fit in a pair of optional trundle drawers for extra storage of bedding essentials. 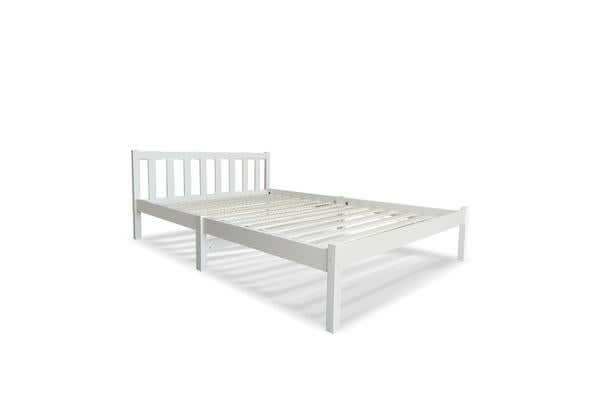 So, the next time you need a contemporary bed frame that has quality written all over it, make it a Sofie Bed Frame. Get yours today.